You may know from what I have written before that I have been waiting for LCD-3 for a while now. A few weeks ago, I managed to get my hands on pair of LCD-3 and I was really happy about it. At last, together with my HD800 I have the best of all the music genres. I got it on Wednesday and Friday and I thought I would have some time at last to get acquainted to my new LCD-3. While driving home I heard my phone whistling that I have new mail. I looked at it and saw “New Audeze Lcd-X“. I smiled and thought a friend was trying to pull a prank on me. When I got home I saw that it was no joke. 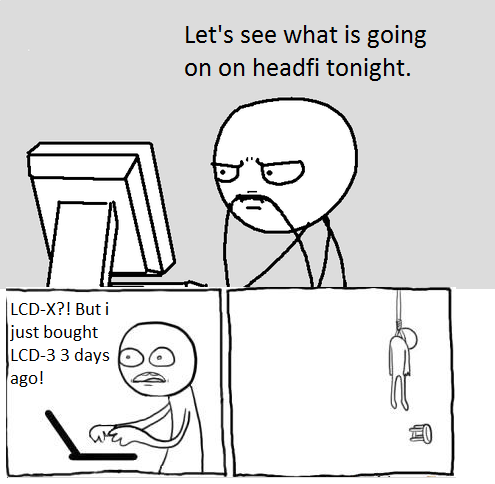 Headfi had already a thread dedicated to LCD-X and a few guys describing their first impressions about it. My jaw was on the floor. I just bought LCD-3. Ok…. I knew that in audio world it takes a few good years before a new flagship was due to appear. Nobody knew the place the LCD-X was going to take on the market. Was it going to be better than the 3? Some people were already stating that LCD-X was better!? I got a little depressed, as I just bought the LCD-3, but on the other hand I was happy as I really think that this industry needs faster progress. But what about my wallet? Well… I have been through this before. The first thing you are tempted to do is to enter a wallet defense state, ignoring the possibility of the newer product being better than what you have. I like to think that I got to be more objective than that, so I got pass that state, and I focused on the possibility of listening to the new product and share my honest impressions. I would like to thank Sankar, Mark and Audeze support on their fast responses, and the opportunity they gave me to listen and review the LCD-X. I don’t know if you guys are aware of this, but one of the reasons I started the blog is because of Audeze LCD-2 and the impact those headphones and Audeze had on me. I absolutely fell in love with them and had to write about it. When I heard LCD3 for the first time, the wallet defense system activated as they didn’t seem to make a huge difference from LCD-2 to my ears. Meanwhile I have discovered HD800 which made me understand better the dynamics, micro-dynamics, transients, details, layering, etc. After that , I understood the value brought by LCD-3 and heard the big difference between the two from a more educated perspective. Considering the above, I was very, very anxious to hear their new products, Audeze LCD-X and XC, and I chose to put my efforts into the X as I like open headphones much more than closed ones, so here we are. I have seen a lot of very happy and psyched opinions on headfi about LCD-X , some users saying that the LCD-X are even better than LCD-3. I have tried to keep my hype to the minimum and hold my thoughts on LCD-X until they reach a mature state. However, I now understand the general hype on headfi. LCD-X, while still not better than LCD-3, it brings some very exciting stuff over it to the table. They sound different, and different in a good way, presenting the opportunity to attract new fans, fans that would appreciate them more than LCD-3, while others would still prefer LCD-3. I am not going to compare them to LCD-2 as the X are quite better from all points of view. LCD-X has new technology called Fazor which gives an efficiency of 96 dB/ 1 mW compared to LCD-3 that has 91 dB/ 1 mW. LCD-X also has a smaller impedance of 22 ohms. This makes them much easier to drive and my FIIO E17 proved that. The Fazor part prevents the delays from the sound that is produced by the positioning of the magnets in front of the membrane, creating an uniform sound-wave leading to better instrument separation and imaging because due to fewer distortions . I was counting the days to hear these babies. When they reached my home, I barely stopped myself from tearing the package apart, to get to them faster. The packaging is the same as with LCD-2 coming in the same sturdy travel case. The headphones look very nice and have a very good build quality. Audeze replaced the wood with metal this time, but the they still have style and very good finishes. Even if they may be a little heavy for some, they have almost the same comfort as LCD-3 from my perspective. LCD-3 has 548 g and LCD-X has 600. If you liked the looks on the older models, I am sure you will like and enjoy the new looks of LCD-X. Actually they feel even more sturdy than the previous models. You don’t have to worry about the wood and the wood care any longer. You may already think that we had talked enough and didn’t get to what it really matters, the sound. So let’s get down to business. You know the drill. We will get through some impressions one some songs and then conclude impressions on portions of sound and overall. The tests have been done with Burson Conductor,Audiobyte Hydra usb interface, PowerInspired AG500, Audeze LCD3, Sennheiser HD800, Audeze LCD-X, Chord Usb Silver plus, FiiO E17 . Wow…the voice…is just awesome. It has a lot more presence than LCD-3. The sound seemed like it opened up from the 3. All the upper mids & treble were more in front and I am saying that in a good way.The trumpet was just amazing as it had excellent texture, feel and presence, the piano was clearer and crispier. The drums were faster and had more impact. Does Audeze know how to rock? You know it does! But does the new model stand up as the older brothers? Hell yes! It is still an Audeze headphone! I feel that LCD-X has a better and neutral balance than the older siblings. However it seems to be faster, with more bass impact and better PRAT . All the sound is binding together in a very good harmony. I cannot say that the mids are recessed, that the bass needs something more or the treble is too bright or not present. No…it is just as it should be. The voice was always between the instruments, playing through them, without getting lost between them as it had very good texture, feel and presence. Again, the first impression was that the sound opened. There was a lot of air on top. The voice was again much more present than on LCD-3. The treble was more forward, pleasant and detailed without being bright. The drums were fast and with good impact. This song has amazing bass and sub bass. Is this still an Audeze headphone? Yes, of course, it still has the house signature. However, the bass was not as meaty, as LCD-3, but it had more impact and still went very deep. The sound seemed faster and the bass more controlled with a better punch. Again, it gave more air on top than LCD-3. Some details on upper mids and treble are more obvious on LCD-X. You just get lost in the music. The transparency is amazing. The voice and whole sound is so clean, so clear. The guitars, drums and voice were amazing in this song. I liked the bass on LCD-3 more on this song as it had more body and the guitars from the beginning had more texture and extension, but LCD-X did a very good job as well as it had a faster in your face sound and better PRAT with better instrument separation and imaging. The bass didn’t had so much body but it was faster and had more punch. I just love the voices with LCD-X. They have a whole new presence than with LCD-3. All the upper mids and treble are more forward , not recessed as with the 3, making you rediscover your music. The voice integrates a lot better throughout the instruments and the song with LCD-X. The guitars had better extension with LCD-3 but the instrument separation was better with LCD-X. It has been one of the rare moments when the treble fascinated me. LCD-X has an amazing treble. It is more forward and better integrated balance wise in the song adding air on top. The flute was amazing and it played effortless throughout the song. I have never heard such clean and transparent treble with no sign of sibilance or brightness. I think this song slapped me back to reality. I thought that LCD-3 had a wider soundstage at first, due to a more laid back sound, but knowing the size of the cathedral I can now say that LCD-X has better soundstage than the elder brother. The height of the soundstage and the voice separation are amazing with it. The chorus is a pleasure to listen to and it fills the scene with an incredible presence and transparency. This is still an Audeze headphone. It has amazing bass. It seems to be faster than the LCD-3, with more impact but less body. I love both presentations, and I didn’t decide yet which one is better as both are different and very good. Even though LCD-X doesn’t have all the magic LCD-3 has in the mids, they have better clarity and the upper mids are more present and more enjoyable with LCD-X. When I said magic I was referring to the instrument extension for example which is better with LCD-3. For example the guitar chords have a fuller life. The treble here is very interesting and because of LCD-X, I started to be fascinated about it as it is more forward and present, giving a more balanced presentation to the sound. You cannot say about LCD-X that they are dark headphones like it’s brothers. It gives the music a sense of clarity and air on top. It is also very transparent and clean. I just love voices with LCD-X and I consider this to be a very strong point for them. LCD-X brings the voices in front or actually they don’t put them in the back and they are not lost between the instruments like sometimes with LCD-3. After LCD-X, I found myself wanting to turn up the volume with LCD-3 to reach the same presence with the voices. LCD-X make the voices sound with amazing clarity. I have chosen this word very carefully. Initially I was fooled by the more laid back sound of LCD-3 and considered it to have bigger soundstage than LCD-X. However LCD-X is more opened than LCD-3 with more air on top and better positioning. The height of the soundstage is amazing and in some ways the sound opens up even after HD800, the X having a taller soundstage. Having faster transients, the instrument separation is very good. At first I thought LCD-3 has better instrument separation because of the more laid back sound and better instrument extension. However LCD-X betters the 3 here because the instruments are better contoured and their position are easier to pick because of this. The more I listened, the more I was astonished by the performance of LCD-X in this department. The sound is very transparent and very clear on the whole spectrum. I feel that this is a very strong point of LCD-X and it really managed to impress me with it. The headphones become a window to the music. The X packs a lot of details in the whole audio spectrum, so the resolution is very good. LCD-3 has the upper hand here overall but not by much as the details are more apparent with LCD-X on the upper mids and treble . I find the transients in LCD-X to be faster than LCD-3. The attack has more impact and the decays are faster. I love this about LCD-X. It gives more energy and PRAT to the music. LCD-X seems to be more neutral and more natural than LCD-3 and LCD-2. 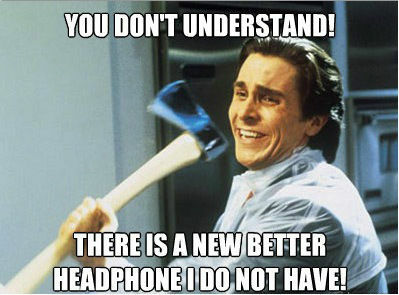 However it still has the magic and fun Audeze headphones have. I have tried the LCD-X with both my Samsung Galaxy S4 and FiiO E17 and they performed very, very well compared to LCD-3. Is this the new Audeze flagship? This is hard to decide, as both have very strong points, and I am sure there will be people preferring one before the other. However, the more I listen to LCD-X, the more I like it and it makes it very hard for me to decide between the two. I may find myself leaning in favor of LCD-X after a few more days or worse…I may love both, and that is not good for the wallet. I have said several times that LCD-X has more air on top. The height of the soundstage is incredible and makes the sound open even after HD800 in some regards. Sometimes I felt that LCD-3 had a little more depth in the soundstage but I think that was because of the more recessed mids and treble, because of the longer decays and better instrument extension on LCD-3. And I do think that sometimes, on some songs LCD-3 can sound a little more spacious because of those aspects. However, the instrument separation and imaging are amazing with LCD-X and are a step up over it’s older brother. Also I find that the X has better transparency and clarity making the headphone a clean window to the music. It is hard to decide between the bass from LCD-X and LCD-3. LCD-3 has more body, more weight and LCD-X has more impact and it is faster. I love both in this aspect but I find myself mostly preferring the meaty, more extended bass of LCD-3. I feel that LCD-3 has better resolution overall, especially until the upper mids and treble, where the sound is more present in LCD-X and the details more apparent. With lcd-3 the instruments seem to have better extension living a fuller life. However, the attack is more powerful on the X and the decays faster, leading to better transients and more energetic sound. So if the sound is composed by attack, extension and decay, the attack and decay are better on the X while the extension is a little better on LCD-3. LCD-3 has a warmer, fuller, more organic and refined sound with better instrument extension which gives the magic to the sound while LCD-X brings some other very strong points discussed in the next section and still manages to keep the Audeze house sound. Now all Audeze headphones have fazors, so the comparison with the LCD-3 from this review may be out of date. Audeze really did some magic here from my perspective. They made the sound more neutral, very balanced overall, keeping the house signature, not loosing too much from the euphony and making them suitable for every music genre out there. I found it sometimes hard to decide which of the two models I like more, but the more I listen to LCD-X the more I love it and I feel that it is technically superior to LCD-3. I very much like the direction Audeze is heading with these new headphones and technology and I keep wondering if this is only a beginning of a new line of products. LCD-X is proof that Audeze listens to it’s customers and respects their opinions. I feel like X marks the spot, in the essential places the fans said that LCD-3 could be improved. 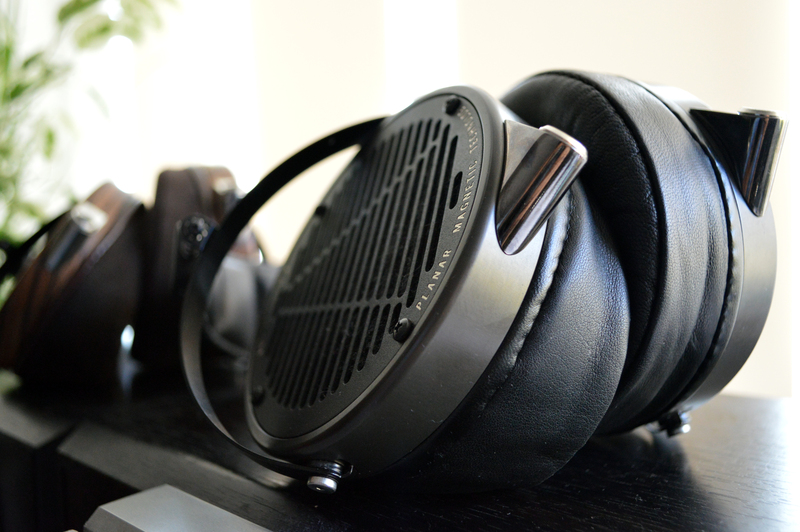 I am torn apart between LCD-3 and LCD-X but I know something for sure: I could live happily with either of them. 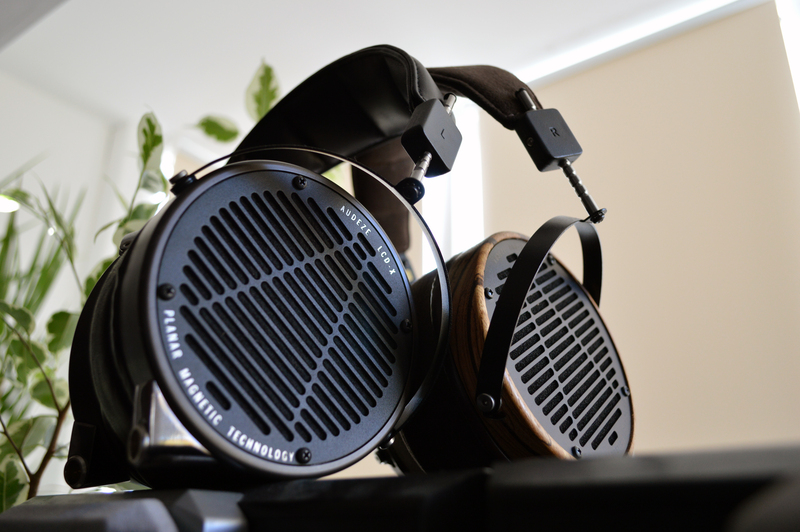 Even if at the moment I am inclined more and more to the X … I still love LCD-3 though. I’ve struggled for days to make a clear decision between the two and I couldn’t. Even if LCD-X retains the house signature, I bet some will want both as they can be complementary headphones. Check out the Part Two of the review ( vs Sennheiser HD800 ) . You can find more photos on HeadMania’s Facebook page. I’ve left a starting spot open in my collection for an all star “open” set of cans.I’ve got my “closed” positions covered with the TH900 and the Lawton, (Denon modified) LA7000.Aside from deciding betweem the X and 3 , I’m hesitant to scoop a pair of the X’s so soon due to Audeze seeming to never roll out a headphone without them having initial issues.They get it right eventually, but it seems to awhile. I definitely feel I am destined to own an Audeze though.I do think it is the typical reaction of a listener to gravitate towards a headphone that is the “brighter” of the two , as long as it is a pleasant brightness. I think Audeze is reaching a very good level of maturity. I didn’t find anything wrong with the sound of the LCD-X as others found with the first versions of LCD-3 which were veiled. LCD-X has the best treble I have heard until now in a high-end headphone (haven’t heard them all yet). While very present and detailed it isn’t bright or sibilant being very smooth and present to the ears. Your description of the treble in the X reminds me of why I’m so in love with my TH900.I wonder if there have been any blind listening tests between the “X and 3” From the reviews I have read many can’t help but let the price differential enter the equation of which is the better headphone.Logically we assume the more expensive (though not by much) is the better. They both have very strong points. I wouldn’t consider the price when judging them. It might just be a matter of tastes between the two. Great review! I read your comparison to the HD800 as well, and I’m still at a loss… So far the best headphone I know of on the market short of maybe the Stax SR009 is the HD800, which I’ve repeatedly tried to find headphones to compete with. But so far I haven’t really found any real competitors, apart from maybe the Fostex TH900. So now I’m looking for a headphone to compliment the HD800, which the TH900 doesn’t do too badly, but in the end they are just too similar in presentation and overall sound (though the Fostex has ever so slightly less details and ofcourse a more bass heavy signature). So as far as see the LCD-X is an obvious choice, but could you give any thoughts? And if I can lure you into doing me a slight favor, could you try and listen to the intro of the above mentioned track on the HD800 and LCD-X and describe the difference? It would be greatly appreciated! Lord Victor, weird…I have exactly the same thoughts as you. Very hard to find cans better than HD800 & TH900 (though gotta EQ TH900 to max its potential). I will always pick Audeze instead of HD800 on rock and metal, with the exception of some symphonic metal sometimes, but overall I would still pick LCD-3 . However, I think for this one LCD-3 would be the best. LCD-X had definitely better bass, body and slam, but the there are some cases when on some songs(here too), because of the bad mastering (where I think the upper midrange was brought more forward), it sounds a little off. On HD800 of course the soundstage depth, width position…excellent, etc but still too much energy on the treble and sibilance. Even though I don’t have LCD-3 right now, I am 100% sure I would pick it for this one! As for that track specifically it does seem to sound a bit off in that youtube video, but even so… Gives me something to work with, so again, thanks alot! Congrats on the purchase. Waiting for your impressions! Hmm, I’ve been listening to the LCD-3 a lot now, and enjoying it quite a bit. My only actual problem is that the bass and lower mids somehow sound completely disconnected… They’re presented, but they seem to have no actual force behind them. With most other headphones bass can to a smaller or larger extent almost be felt, in some extreme cases actually make the headphone vibrate ever so slightly. However the LCD-3 does none of this, the bass sounds even less interesting than the HD-800… It goes lower and is possibly more accurate, but it completely fails to engage me – I’ve actually found myself getting bored with some tracks only to switch to another headphone or my speakers and find that the same music that just bored me suddenly has massive “force” behind it. Hmmm, LCD-3 should have a good attack too. HD800 is faster, but it shouldn’t be as you said. What amplifier and cables are you using with lcd3? I also noticed that adding some silver aftermarket cables like toxic silver widow improves the speed, attack and impact. LCD-3 needs a neutral, powerful and fast amplifier, so if you have something that is on the warm side or a little slower, it might not be the best combination with lcd-3. If the amplifier doesn’t have enough power, or has a big output impedance could lead to what you described. I use a ALO Rx Mk3b, which has plenty of power to spare driving this – i know because it has driven much more requiring headphones before with no problem, an drew the LCD-2 with ease as well for that matter. And it is completely neutral, a bit analytical and grainy, has very strong attack, and a big soundstage. I think you should try a full sized desktop amplifier like Burson Soloist for example. No portable amplifier can compare to it from my experience. LCD-3 needs power and control. The bass was wonderful in my experience with it. A real, live Lord ! Really ? Hi Victor: I love the frank open honesty you share. Realizing this reply (of yours) is near 4-years on, there really is no reason to consider anything other than the (by all accounts) superb Stax SR-009. Should you wish to dabble with other can’s, consider the excellent Hifiman 400i; I’m awaiting both a decision and (naturally) arrival of an appropriate driving amplifier to determine the capabilities of this remarkable (HD-800 beating at half price) headphone. You need to DECREASE the bass output by cutting about -3-4dB at 50Hz by using the parametric equalizer in your music player. You will hear midrange clarity return with bass resolution and slam. Just do it. Resistance is futile. With a neutral amplifier and dac you won’t be needing that, but thank you for the tip. In an unintended thinking moment an experienced reviewer discovered that he lives in the real world, rather than an imaginary one. For way of explanation, the real world is what is; the imaginary world is the one we’d like it to be. Halgaard posted valid concerns herein that the veteran reviewer above addressed correctly, based on real world realities, not what one may want the world to be. Interesting. I get what you are saying. I have had the D7000 and liked them, but they weren’t in the same class. However, they were fun indeed. I found LCD-3 to be so different compared to HD800 as sometimes it took me a while to get to accomodate. After LCD-3, hd800 sounded thin and too bright…After HD800, lcd3 sounded congested and fuzzy. I couldn’t enjoy any of them if I would have kept changing them on each song. With LCD-X, the change is a lot less abrupt. If you like the sound of lcd-3 very much, consider the fact that the new LCD-3f (fazor) has more impact/details/transparency compared to the old one. Didn’t have the pleasure of listening to 3f yet, but this is what I’ve been told from 2 friends that listened to them. After listening to the old lcd3 vs lcd-x a couple of days ago, I found lcd-x to be quite more transparent and clear sounding than the old lcd-3. It also has more impact and energy, while lcd-3c(old) sounded dull to me. I would definitely go with the x, but that is just me. This may also be a result from me being used to lcd-x sound as well. However, lcd-3f from what I understood, gains in terms of transparency, impact-energy as well. I am quite curious about them . A friend of mine told me that the difference between 3f and 3c is similar to the difference between lcd 2 and lcd 3. 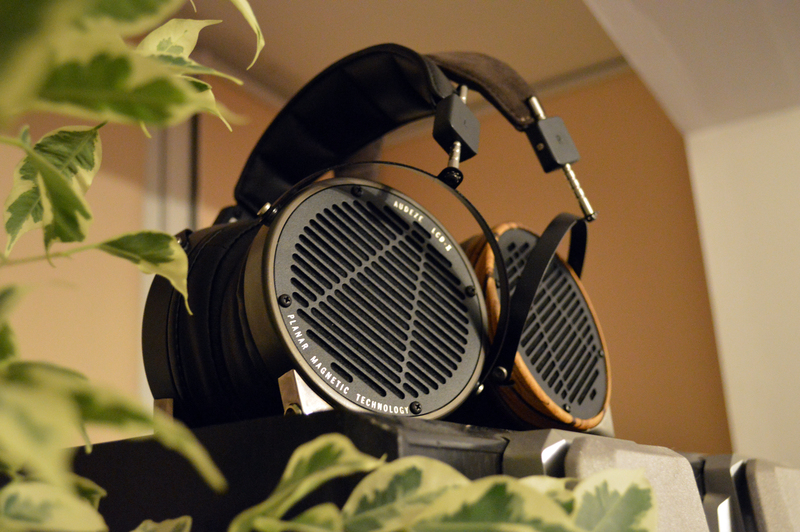 I will try to get my hands on a new pair of lcd-3f and make a comparison between the two. However, between lcd-x and the old lcd-3, now, I would definitely go with lcd-x for it’s cleaner and more energetic/punchier sound. Ah… Hello Headmania , I recently have just bought an LCD XC … it does sound great to me but there’s one technical problem that i wish to find out, and I really guess u guys here can explain me … what is the fazor technology ? A piece of metal or a magnetic ? It is a piece of metal that helps the soundwaves move in a more uniform matter helping instrument separation & Imaging. Also, if I remember this correctly it also moves the membrane more efficiently, making the headphones easier to drive. Considering I own a Chord Hugo DAC and its musical profile, what would you choose between the LCD-3 and LCD-X?? It is pretty tough to purchase one or the other without listening to them with the Hugo so looking forward to hear what you think! Great reviews by the way dude! I think I would go with LCD-X as it needs less power and it goes better with Hugo because of that. Thank you GW. 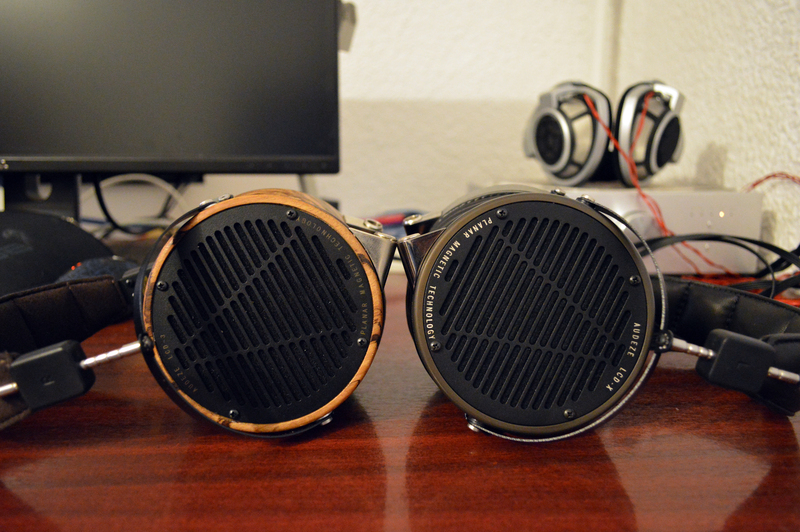 Indeed, the LCD-3 was the one without the new fazor tech when I tested them. Listening to the LCD-3 with Fazor, I kind of favor it to LCD-X overall. Hey Headmania, at this moment I have both Lcd-3 fazaor as the lcd-x here to test and choose one to buy. I heard them for a few weeks now and every time i try to decide I fail. The difference still is huge to my ears. The X is far more accurate and for my studio/composing usage i think that would be the smartest option. But then I listen to the LCD3 and the space and warmth of the mid-low just hugs me. I think it makes many things sound better then they actually are, so again a point for the lcd-x for studio usage. But do i really want them instead of the lcd3? pffff it’s confusing even after two weeks. Any thoughts? My main genre is orchestral and orchestral/electronic filmscoring. Hello. I understand your dilemma perfectly. I am not sure what I would do. Choosing between LCD-3C and LCD-X was easy. I am not sure with lcd-3f, though. On the long term I think I would go with lcd-3 f, though. However, I cannot make this decision for you. You must decide for yourself :).